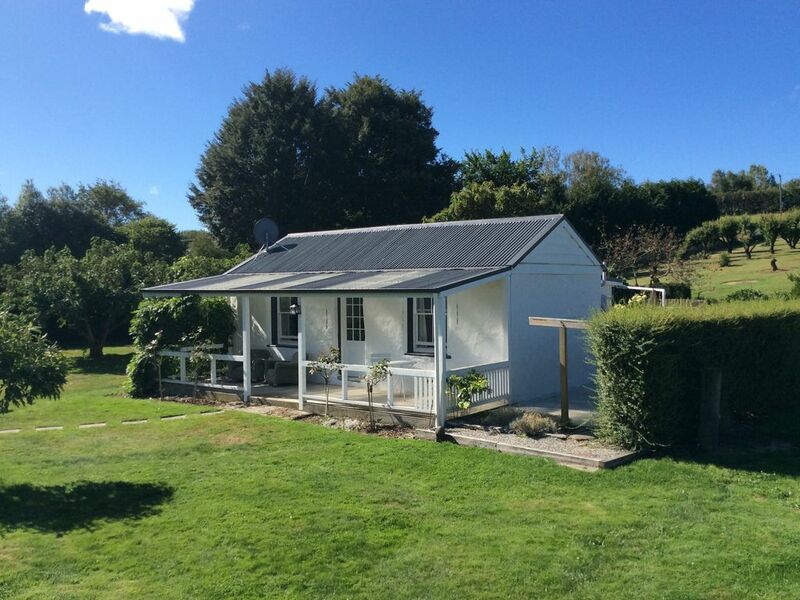 Granny Stringer’s Cottage is a beautifully restored 1870’s historic sod cottage. Imagine the charm of days gone by while appreciating the best of modern convenience. This cottage is an absolute delight! Set in a beautiful landscape on the east side of Roxburgh, peace and serenity exists with views out to the magnificent Mount Benger range. We will provide a continental breakfast for guests at no extra charge; cereal, fruit, milk, breads for toast, butter and spreads, tea and coffee. If you love cottage charm and peaceful surroundings this is the place to be. You will have the whole cottage to yourself, which includes a sitting room, bedroom, modern well appointed bathroom, kitchenette for your tea coffee making requirements. Under the verandah at the front is a fantastic place for relaxing, reading, a glass of wine, just sit and look out at the beautiful scenery. Close to the cottage, an outdoor kitchen is available for use. The kitchen has everything you need to create your own culinary delights. A bar-b-que is available for your use, and outdoor furniture for your convenience. A separate driveway from the main road allows you the convenience of coming and going as you please. The owners residence is close by. We are happy to interact and assist with whatever requirements you may have. We also respect and acknowledge guests rights privacy and independence. The property is situated very close to the Clutha Gold cycle trail. Roxburgh township is a two minute drive, or a ten minute bike ride. An abundance of orchards nearby offering an opportunity to pick your own selection of central otago’s finest. QUEENSTOWN one and a half hour drive away. Dunedin one and a half hour drive away. WANAKA one and a half hour drive away. Invercargill one and a half hour drive away. Beautifully situated in the middle of everywhere!